BRITISH group Spector will be performing at the Stage Club, Avenue K in Jalan Ampang, Kuala Lumpur on Oct 6. Billed as ‘Spector — Live in Malaysia’, the show is presented by Universal Music Malaysia and Topman. 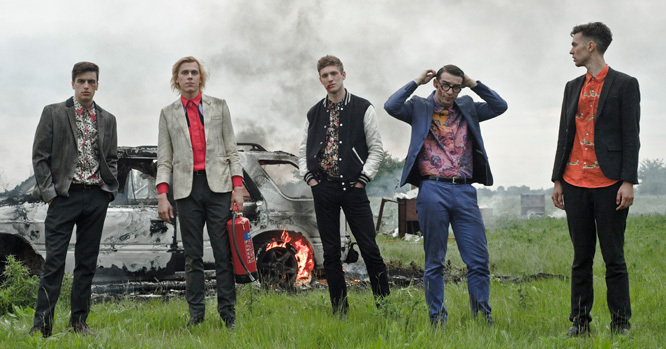 The group comprises vocalist Fred Macpherson, guitarist Christopher Burman, bassist Thomas Shickle, keyboardist Jed Cullen and drummer Danny Blandy. Their hit singles include Never Fade Away, Celestine and Chevy Thunder, and their debut album Enjoy It While It Lasts was the highest purchased album at UK indie record stores and nominated for BBC’s Sound of 2012 Poll in December last year. Topman is a high-street men’s fashion retailer and their Fashion Fast Forward members will be rewarded with a pair of tickets to the Spector show with every purchase of RM200 and above in a single receipt at Topman outlets in Mid Valley Megamall and Suria KLCC.